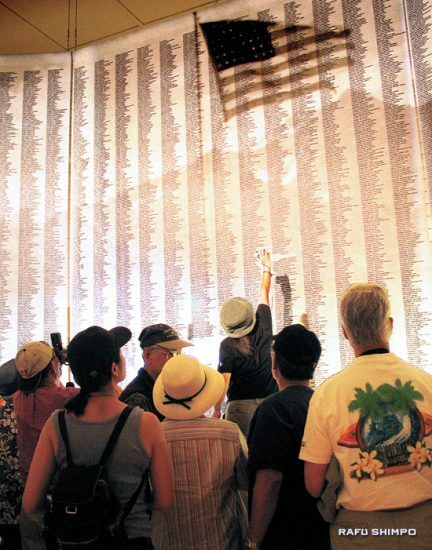 Names — 11,070 of them — are an emotional testament to the presence of the men, women and children who called Manzanar their home during World War II. At the Manzanar Interpretive Center, an opaque screen printed with those names is a centerpiece of the exhibition, and now it’s getting an update. The public’s help is sought in correcting omissions or misspellings. Lynch also noted that there were no doubt typos in the original rosters created by the War Relocation Authority. Since the interpretive center opened in April 2004, National Park Service staff have received dozens of corrections. Grant money has now allowed them to update the names. To create a more accurate listing of names, the staff has cross referenced various sources including rosters at UCLA and websites like Ancestry.com. Sarah Bone, a volunteer who is familiar with Japanese names, has been working on roster corrections. “Cross referencing various sources that we can digitally zoom in on, is really helpful and really time consuming,” Lynch said. 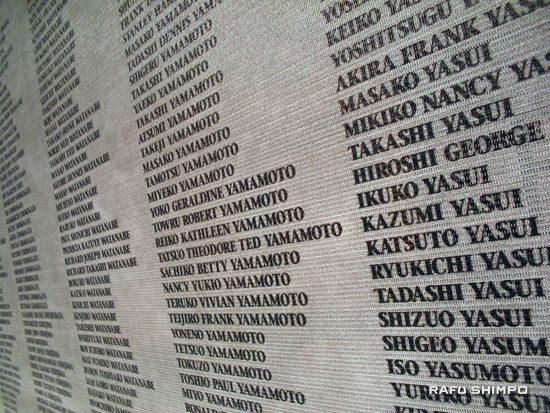 “There is a list of my family, my youngest brother’s name is misspelled,” Tomita explained. He has submitted his brother’s name — Joseph Tsuneki Tomita — and he hopes other incarcerees will take this opportunity to make corrections. “We were young, but we knew the consequences of what happened. We knew that all my dad’s work was lost. The attitude of my mom was shikata ga nai,” Tomita said. Individuals who have corrections are asked to submit the names by Aug. 31. They should include date or year of birth, as well as the names of other family members. Submissions should also include a contact in case there are follow-up questions. Names may be sent to Patricia Biggs at [email protected] For more information, contact Biggs at (760) 878-2194 ext. 3316.